Mayo have once again defied the odds and retained their Division 1 status for the time being. 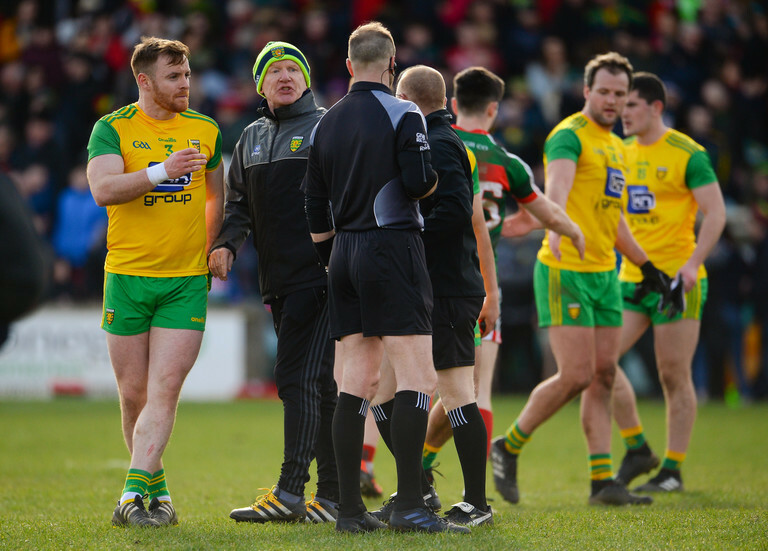 Facing a daunting trip to Ballybofey where they met a similarly beleaguered Donegal, a hard fought draw for Stephen Rochford's men relegated Declan Bonner's Donegal whilst saving themselves. A late, late Kevin McLoughlin point leveled the tie at 0-13 points a piece, but, hinting that they may have taken lessons from their harsh All-Ireland final defeat to Dublin last year, the last few moments of this tie are scarcely congratulatory alone. Scenes that prompted mild outrage amongst last September, it was Mayo who today became the aggressors in terms of extreme game-management. 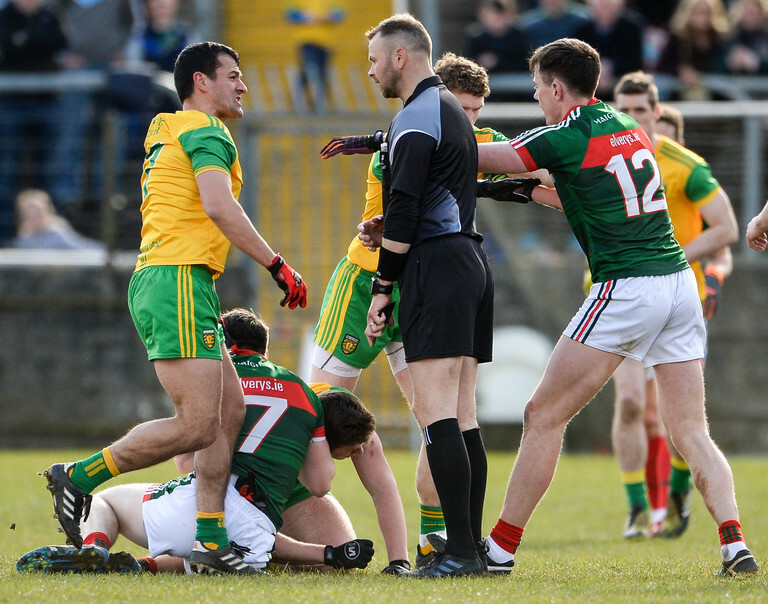 Engaging their opponents in some close-combat wrestling across the pitch, the message appeared clear; let's do to Donegal what Dublin did to Mayo. This is one of the aspects that has crept into the game, and we saw it in last year's All-Ireland final ... Mayo probably learnt from that. The black card doesn't work in that period [of the match], and it's very hard for referees to stamp out cynicism in that last few minutes when you're in the 'red zone', the last minute. It's not likeable, but I can understand why players do it. I can understand why Dublin did it in the All-Ireland, I can understand why Mayo did it, but, we'll have to look at it, I think the GAA really have to look at it. When the game goes into injury time, there has to be some sort of punishment for teams that slow and take the life out of the game. With Ó Sé suggesting that he had seen the same thing happen during Kerry's league tie against Donegal, his general consensus was that "you can't control it." Although Whelan suggests that Donegal are "in a good position because they have a lot of quality throughout their team," it was clear to see that today's result has not gone down well with Bonner and his players.